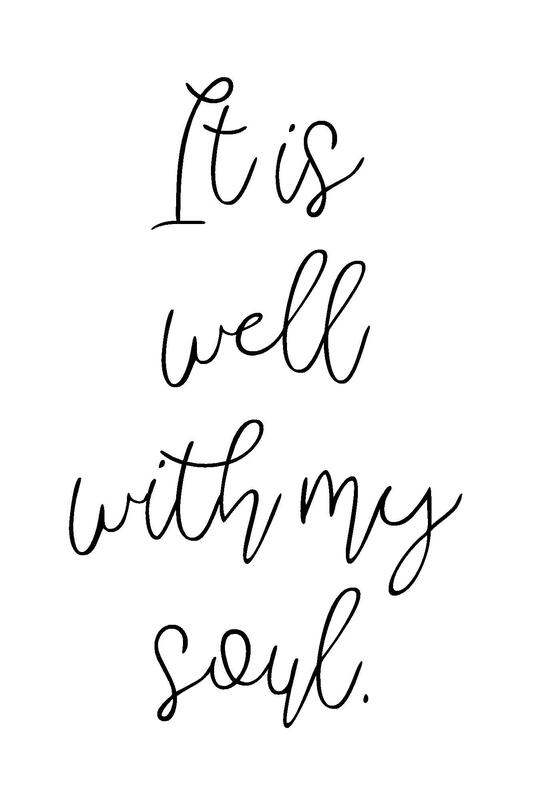 The phrase “it is well with my soul” – and the hymn of the same name – hold incredible meaning for me and my faith journey… and my trust in Jesus. 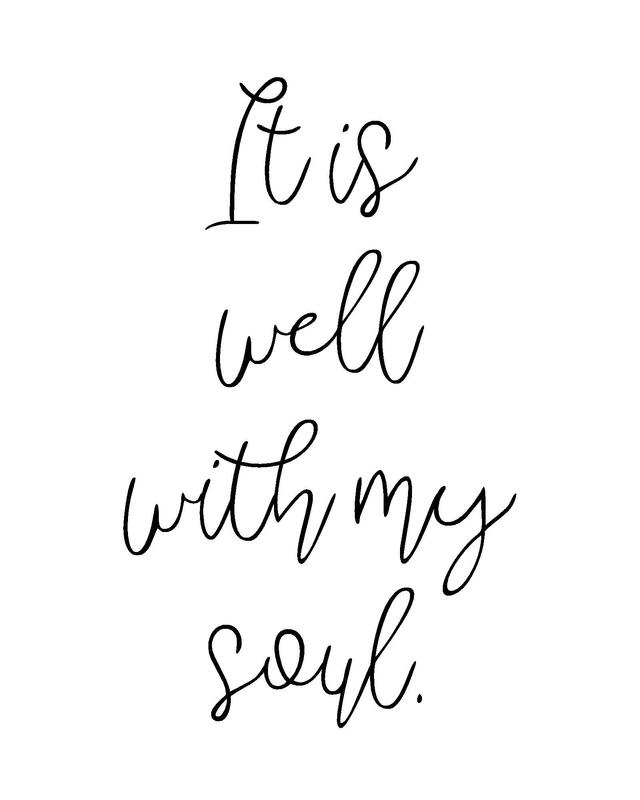 I made a printable with those words, and it’s free if you’d like to get it. As with the other printables (those are here) there’s no charge, nothing to sign up for, no need to give your email address… simply download whatever file(s) you wish. The files include one pdf file (you can set the size when you print), as well as jpg files for sizes 4×6, 5×7, and 8×10. 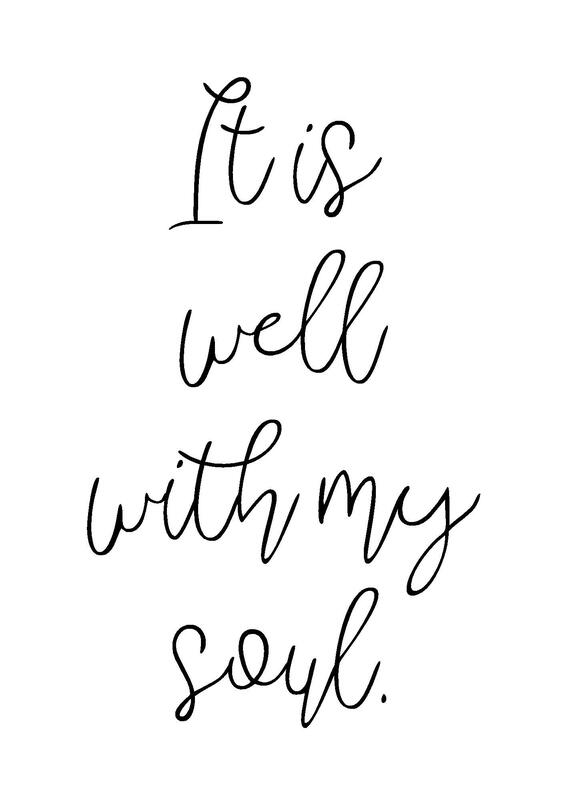 These are high quality, 300dpi, suitable for printing to frame, or put on a bulletin board, or put somewhere as an inspirational piece, a reminder, a declaration, a breath of gratitude and peace: It is well with my soul. And check back or follow my blog – future printables are on the way.